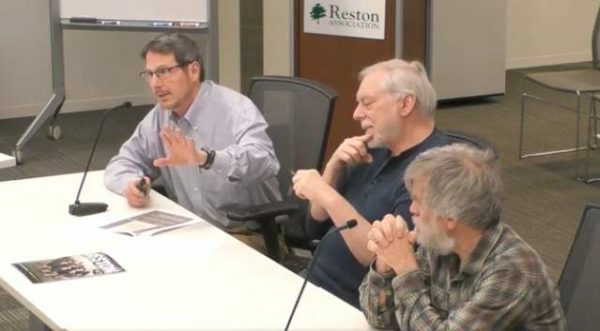 After a year-long hiatus, the Reston Association’s Pedestrian Lighting Working Group made a comeback at the Design Review Board’s meeting last night (March 19). Working group members Larry Butler, Rick Landers and Bill Burton presented a progress report as a first step toward developing specific lighting guidelines for RA properties and pathways. 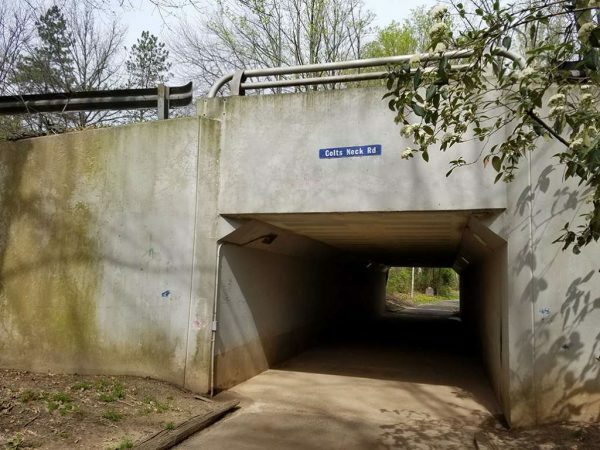 Hunter Mill District Supervisor Cathy Hudgins’ recent call for more streetlights around Reston and some criticism of the lighting at the Sekas development along Sunrise Valley Drive renewed the focus on the lighting, Butler said. “Lighting is going to be at the forefront for some time to come,” Butler said. 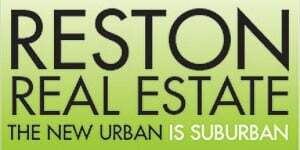 Butler said that the working group is also adopting some guidelines from the Reston Annual State of the Environment Report (RASER). Burton showed the Design Review Board the Reston lighting map that was created by overlaying existing pathway lights on a new land use map. 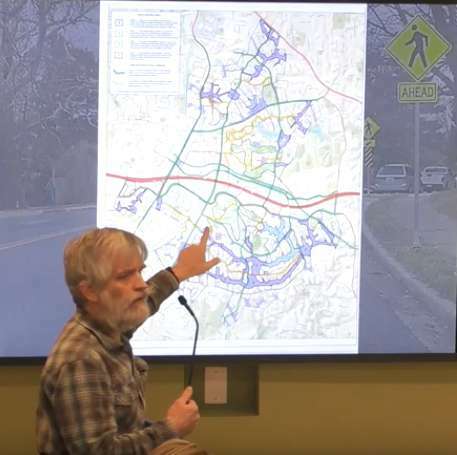 Burton said that the working group members walked or biked Reston pathways and corridors to note areas of no, low, medium or high lighting. In addition to marking the traditional RA pathways, the map also notes travel corridors along certain roads that bicyclists and pedestrians might frequently use. The map is meant to serve as a template for the Design Review Board’s review of lighting requests, he said. Identifying areas that need more lighting is just one step. “We want to do it right,” Butler said, mentioning LED lights on timers. Landers added that the technological advances in LED lights provide more options for dimmer or brighter lighting, along with being more energy-efficient. Vice Chair and Architect Member W. Neal Roseberry praised the three working group members for their effort, which has broad appeal to Restonians. “I think this is really pretty common sense,” he said. While the Design Review Board supported the map and expressed a desire in making a future action item around lighting, Richard Newlon, the board’s chairman, questioned how much detail should get decided around lighting while still creating an enforceable guideline. In addition to the progress report, Butler also gave the board a preview on other actions the working group is taking. “We’re working with Fairfax County to get an interpretation on that proffer as to whether or not that money can be joined with our project, our current funding so that we can do lighting down there, because we don’t have enough money to do the whole project,” Butler said. Butler said that he expects the working group to come back to the Design Review Board in April or May with information on the $81,300 promised in the proffer. A senior living community at Hunters Woods will kick off next week the first of three job fairs for 200 jobs ahead of its opening this year. Currently under construction near the Hunters Woods Village Center, Hunters Woods at Trails Edge (2222 Colts Neck Road) is on track for its spring opening, Reston Now previously reported. The IntegraCare facility will have 210 senior-living units — including 91 independent living units, 80 for assisted living, 24 for memory care and 15 for special needs. A temporary office and showroom opened last year at the Hunters Woods Shopping Center (2254B Colts Neck Road) to provide more information. The jobs range from working with the hospitality to maintenance teams, according to a press release. The retirement community will include multiple dining venues, resident gardens, several fitness centers, a juried art gallery and a movie theater, according to the press release. 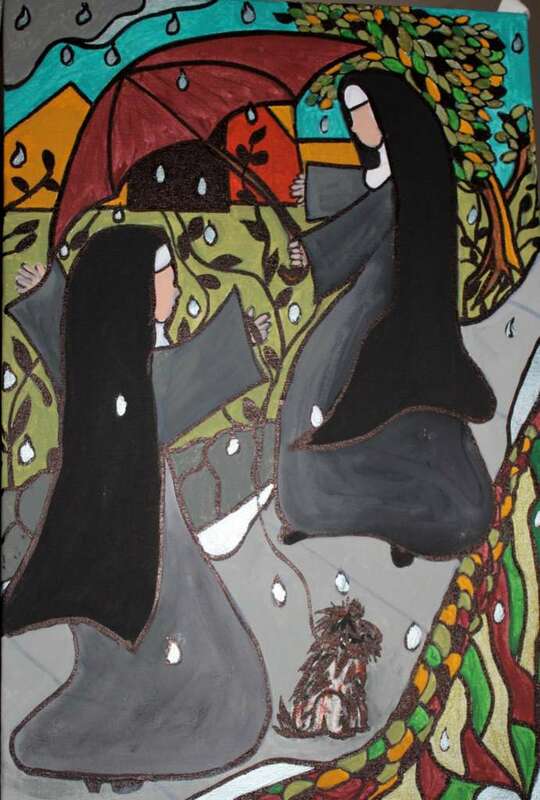 A Vienna resident’s art show titled “A Bunch of ‘Nun’sense” will bring depictions of nuns and stained glass windows to Hunters Woods at Trails Edge. The art show “consists of mainly acrylic and ink on large stretched canvas, which includes a variety of styles,” according to information provided by Hunters Woods at Trails Edge. Jan Dittmar, 68, started painting at the age of 50. A decade later, she earned an arts degree at Columbia College in South Car0lina at the age of 60. She is currently a member of the League of Reston Artists and the Vienna Arts Society. 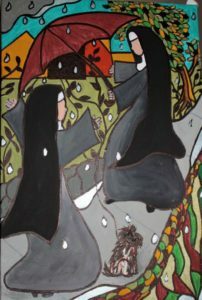 Locals can view her nun-themed art while sipping sangria and enjoying sweets at the Pre-Opening Showroom (2254B Hunters Woods Village Shopping Center) from 6:30-8:30 p.m. on Friday (Feb. 8). 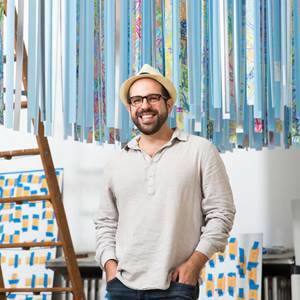 A new exhibition featuring the work of artists age 55 and above is coming to Reston next week. The exhibit, “Young at Art,” opens on Oct. 10 at 6:30 p.m. in the showroom of Hunters Woods at Trails Edge (2254B Hunters Woods Plaza). 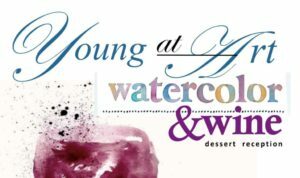 Attendees can meet the artists behind the event and enjoy local wines paired with desserts. RSVP by emailing [email protected] or by calling 703-708-4047. Hunters Woods at Trails Edge is an independent living and assisted living facility expected to open by the spring of 2019. The $72 million project is the first Virginia location for IntegraCare. 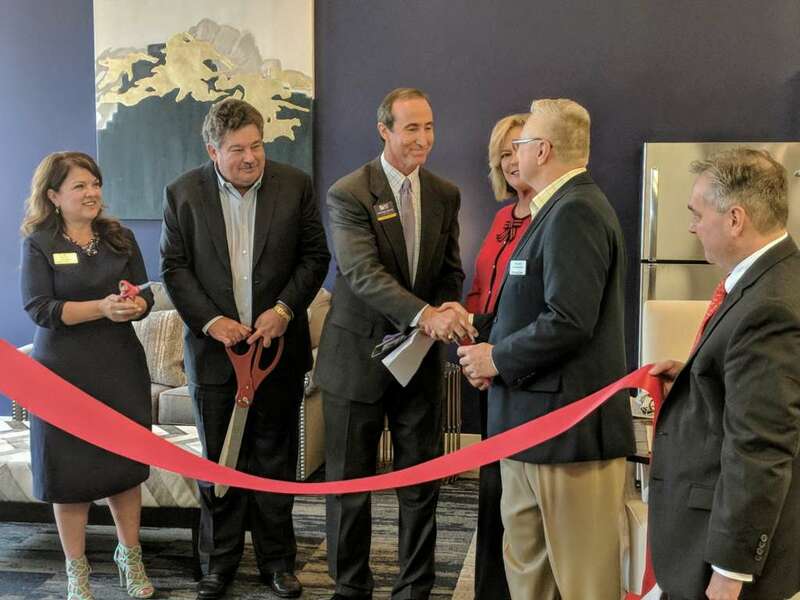 A showroom for Hunters Woods at Trails Edge, a senior living community under construction at 2222 Colts Neck Road, is now open in Hunters Woods Village Center nearly one year ahead of the project’s completion. The project includes 90 independent units, 81 assisted living units, 15 units for individuals with special needs, and 24 units assigned for memory care. Hunters Woods at Trails Edge is expected to be completed by spring 2019. The showroom is located at 2254B Colts Neck Road. 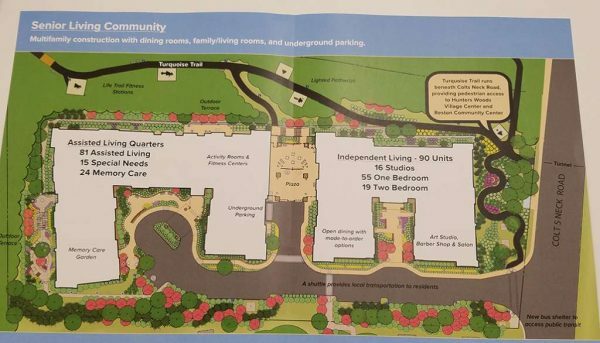 On Monday, construction is set to begin on 210 new senior living units in Reston. The units, to be called Hunters Woods at Trails Edge, will be located in place of the former United Christian Parish Church at 2222 Colts Neck Road. Of the 210 units, 90 will be designated as independent living, 81 for assisted living, 15 for special needs, and 24 assigned to memory care. The project will offer 20 percent of the independent living units as affordable units, and 4 percent of the assisted living beds will be available for residents who are eligible for the Virginia Department of Ageing and Rehabilitative Services Auxiliary Grant Program. Fairfax County supervisors approved the project in May 2016. A ceremonial groundbreaking was held at the site in March. The community will occupy a 4.3-acre lot across the street from Hunters Woods Village Center. Hunters Woods at Trails Edge will offer modern units with dining rooms, family rooms, activity rooms, fitness centers and indoor parking. The facility will also include an arts studio, barber shop, and salon. Advanced security and communication technology will be installed, and residents will have access to community-wide WiFi, say project representatives. In addition, a new bus shelter will be built on the property to allow for access to public transit, and the facility’s shuttle service will provide transportation to additional transit, medical facilities and shopping centers. Developers said Reston’s Turquoise Trail pathway will be lighted, as it passes under Colts Neck Road to Hunters Woods Village Center, where residents will have access to Reston Community Center, and six “Life-Trail stations” designed specifically for senior fitness will be installed along the nature pathway on site. Additionally, five outdoor terraces will overlook landscaped grounds, mature woods and nature trails. Hunters Woods at Trails Edge is being developed by a team comprised of Atlantic Realty Companies, AEW Capital Management and IntegraCare. Helping to put the project together was Avison Young senior housing expert Jim Kornick, who works on a team with Dan Baker that specializes in senior housing investment across the country. Representatives said construction costs are estimated at $72 million for the 230,000-square-foot project. Construction is set to begin Monday, and is expected to be complete by January of 2019.